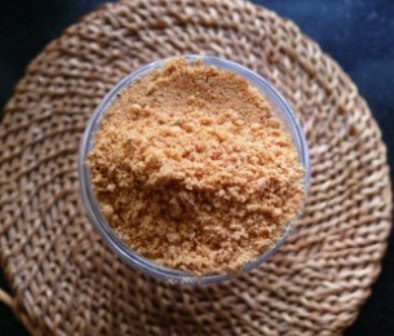 whenever we are tired and not feeling well this podi comes handy to every one.when we make this podi in advance it comes handy without any hastle.while making this podi you can fry asfoetida and add or you can add as such.If we fry it smells great. This is the basic south indian idli podi recipe for idli and dosa , there are lot of variations in idli podi’s this is the basic one.In upcoming days I will post varies other podi’s. fry chilli's and salt with little oil or even without oil. Add asafoetida and grind the mixture after it cools. Homemade podi is great than any other ready made podi's. Podi tastes great with sesame oil. This podi becomes handy in timeless situations.